I am fascinated by the fact that for roughly two generations now tenors, some of them really major stars (Pavarotti, Domingo, Carreras, etc) have claimed that it was hearing and seeing the magic of Mario Lanza in his MGM movies, especially The Great Caruso, that inspired them to take up opera. 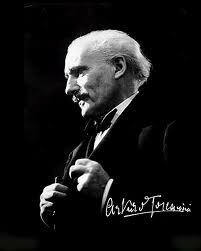 Toscanini insisted from the time he conducted him in New Orleans as Pinkerton in Madama Butterfly that Lanza had one of the greatest natural voices of the 20th century – right up there with Caruso’s, indeed. Now along comes the emerging Maltese star, Joseph Calleja, to confirm this legend. 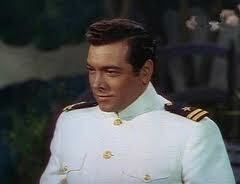 Calleja has made a recording called Be My Love as a tribute to Lanza and sings on it not only some of the great operatic arias that Lanza sang in his films, but also the most recognizable of hits written for those movies (such as The Toast of New Orleans, That Midnight Kiss, Serenade – all of which are worth re-evaluation by now). The tribute is lovely and the BBC Concert Orchestra and conductor Steven Mercurio excel in recreating the sound and feel of those MGM orchestrations that were Lanza’s backup. Calleja proves himself to be a worthy successor. Calleja has a lovely voice and much of the smiling charm of Lanza whose whole appealing persona seemed wrapped up in the sound he made. 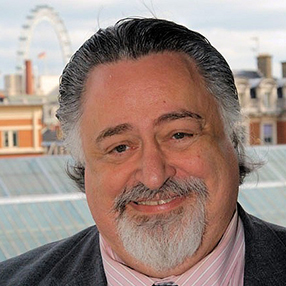 He’s even rather good looking but a bit chubby like Lanza – a weight problem being what got Lanza fired from filming The Student Prince after he had recorded the score (gorgeously). For me, Joseph Calleja’s disc serves two purposes – a wonderful introduction to the singer’s lighter side and his crowd-pleasing savvy; and also a nudge to us all to return to those RCA recordings made by Lanza himself. The sound of Lanza’s voice is unique and recognizable; the personality is positively loveable; the singing is simply gorgeous. Lanza had the God-given gift, but he also had the training. Toscanani was right. And in our era he could have had the kind of career that we believe and hope is in store for the sweet-sounding and charm-laden Calleja, whose technique and control are laudable and whose ability to handle and delight an audience seems effortless. And what a voice! 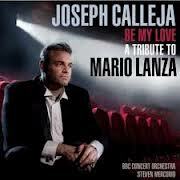 Joseph Calleja, Be My Love: A Tribute to Mario Lanza. Zero Dark Thirty: Let the Light In! • Point 1 on torture: the facts of the matter aren’t clear. 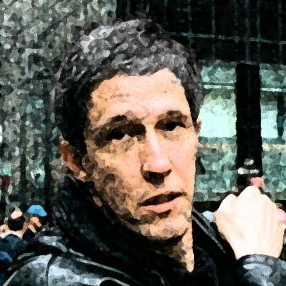 Journalist Steve Coll, in a long discussion for The New York Review of Books (http://www.nybooks.com/articles/archives/2013/feb/07/disturbing-misleading-zero-dark-thirty/), states that “most of the record about the CIA’s interrogation program remains secret.” Coll also reports that officials with access to the classified record disagree on the role that torture played in the CIA’s hunt for Osama bin Laden. Given such vast uncertainty about what actually happened, it’s hard to see how anyone can be sure (as Coll is, despite his own admissions) that Zero Dark Thirty is wrong or even misleading. • Point 2 on torture: the movie isn’t clear either. In one sequence, we see a prisoner named Ammar being tortured without revealing anything. In a later sequence, the central character (Maya, played by Jessica Chastain) and her partner drop the torture, treat Ammar to lunch, and falsely tell him he gave them information that helped foil an attack; he then reveals a handful of names pertaining to something else. This information leads ultimately to bin Laden’s courier—the key to locating bin Laden himself—but the movie is ambiguous on why Ammar talked. Was it because the torture loosened him up? Because he’s willing to help once he’s had a square meal?Because he was tricked? We can’t be sure. Later, a man named al-Libi is tortured but reveals nothing; Maya assumes that means he’s hiding something important. In those cases and others, the movie makes clear that torture was employed by the CIA (until it was decisively banned), but it’s ambiguous on whether torture directly produced useful information. • It’s only a movie. A former CIA employee named Nada Bakos complained at length in Pacific Standard online (http://www.psmag.com/legal-affairs/how-true-is-zero-dark-thirty-a-former-operative-weighs-in-51659/) about the many ways Zero Dark Thirty deviates from her knowledge and experience of how the CIA worked during the bin Laden search. Steve Coll encapsulated many of her objections in one sentence when he wrote that the film “[tells] the story of the decade-long bin Laden hunt, which involved many hundreds of CIA officers and military personnel, primarily through the experience of a single analyst.” This is the same kind of condensing done by countless TV and film dramas about medicine, trial law, and police work. Does a hospital doctor watch House and then gripe that diagnosticians don’t also run MRIs, take fluid or tissue samples, or do lab work? Not if (s)he is smart. 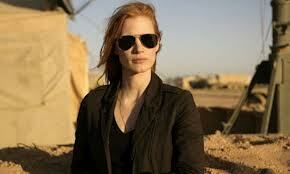 Nor should any of us mistake Zero Dark Thirty for history or journalism. • It fails not as fact but as fiction. 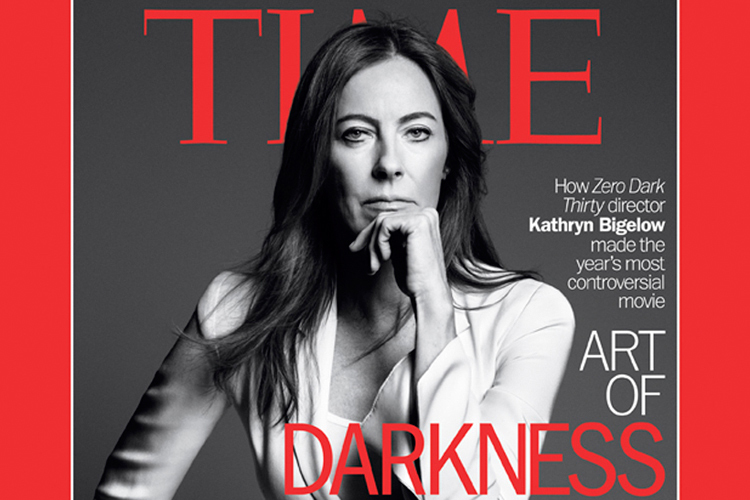 Director Kathryn Bigelow said, in a December 17, 2012, Talk of the Town piece for The New Yorker ( http://www.newyorker.com/talk/2012/12/17/121217ta_talk_filkins), “the film doesn’t have an agenda, and it doesn’t judge.” That’s just the problem with what she and screenwriter Mark Boal created. Critic Richard Brody, writing for the magazine’s Front Row blog (http://www.newyorker.com/online/blogs/movies/2012/12/richard-brody-on-the-deceptive-emptiness-of-zero-dark-thirty.html), described Boal and Bigelow’s method this way: “The movie’s pseudo-objectivity is a willful ambiguity of a very distinct sort; its willful rejection of the inner life is a posturing stance of cool, an attitude of no attitude.” (Brody goes on to say this stance “may be the fault of André Bazin”; film-theory adepts may enjoy that part of his essay.) The film’s attitude of no attitude, its refusal to judge, set viewers adrift in a tide of mere facts. In a manner of speaking, the characters don’t care about what they’re doing—we know little of what they think or feel, except that they’re dedicated to their jobs—so it’s hard for us to care either. In this respect, Zero Dark Thirty suffers in comparison with a film such as Hostel, which I saw on TV recently. Writer-director Eli Roth’s “shabby little shocker” (a term once applied to the opera Tosca and just as true here) opens with a title that reads “Quentin Tarantino Presents,” which led me to expect stylized violence that’s not to be taken very seriously. 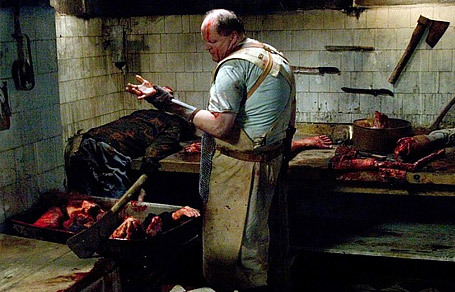 But Hostel gives you something that Boal and Bigelow’s magnum opus doesn’t: an angle on the characters. The men who wield instruments of torture in Hostel go about their business with varieties of sadistic glee. That’s nothing great in terms of an inner life, but at least they have one, and you can react to it. By contrast, the first thing my filmgoing friend and I decided about Zero Dark Thirty is something neither of us expected for such an admired and talked-about film: it was very boring, followed by less boring. A 2010 book by David Shields proposed the concept of “reality hunger.” That’s a subject for another discussion, except for this: we ought to know what kind of reality we’re hungry for. What kind of life are we hoping to grasp in our books, movies, TV shows, and plays? 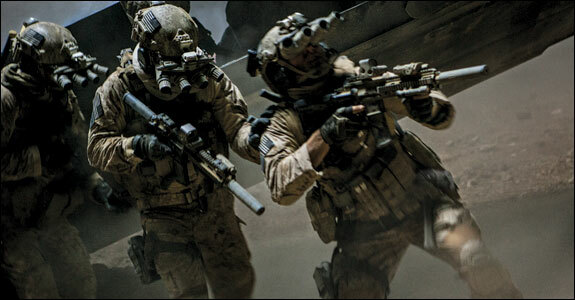 Despite the issues involved, Zero Dark Thirty is pretty exclusively concerned with mechanical life, material life, the life of bodies and bullets and bombs. There’s more to life than that.